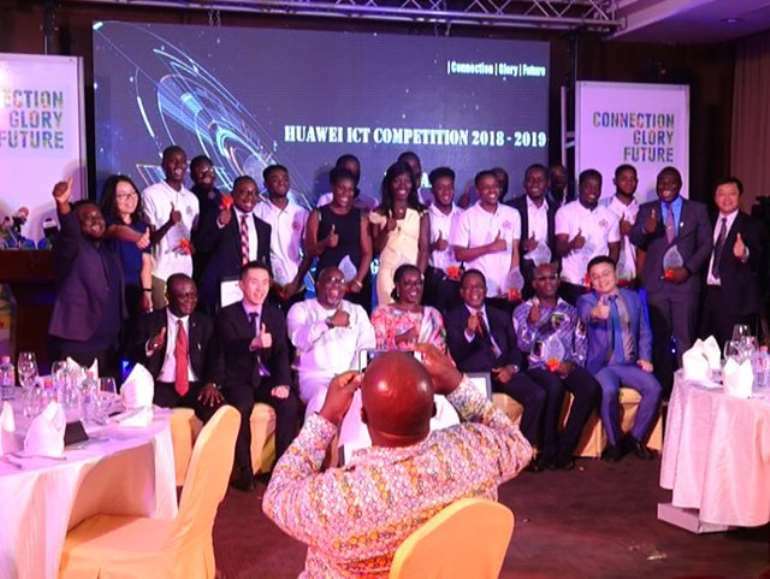 Three students and a lecturer from the Kwame Nkrumah University of Science and Technology (KNUST) have emerged best candidates to represent Ghana in the 2018/2019 Huawei ICT Competition. The team will take part in the regional competition in South Africa and hopefully go on to represent the country at the global stage. The team which was unveiled at the Huawei National October Competition Awards comprises: Level 400 Computer Engineering Students of KNUST, Timothy Seffah-Duodo and Gerald Philip Bassah, level 400 Telecom Engineering Student, Joshua Ofori Boateng, together with Senior Lecturer of the College of Engineering at the school, Dr. Kwasi Opare who is also an instructor for the competition. 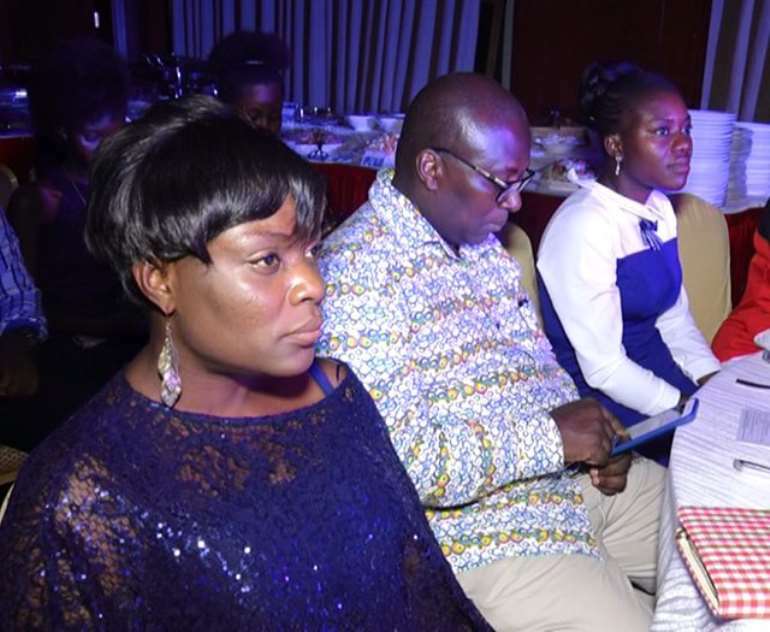 In a brief ‘thank-you’ speech on behalf of the team, Gerald Philip Bassah described the painstaking preparations they went through to emerge winners. He also expressed the team’s readiness to overcome the hurdle of the regional competition and as well make it to the global stage in order to make the country proud. “As the bible says, you can prepare your horses for war but it the Lord God who gives victory; it is in this regard that even if we can’t promise anything at all we are promising to give off our best at the regional competition in SA and let God do the rest,” Bassah said. 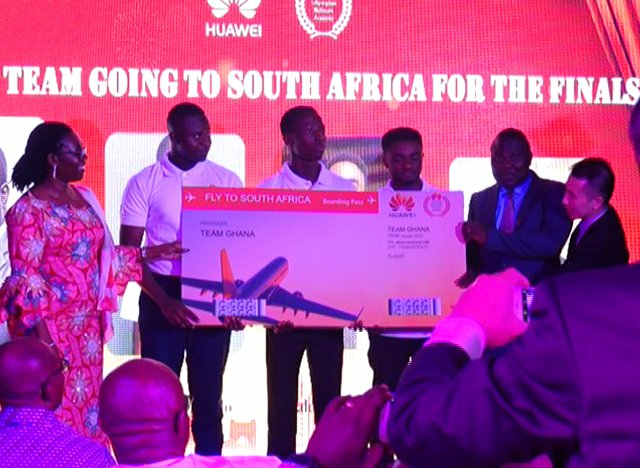 Chief Executive Officer of Huawei Ghana, Tommy Zhou said the competition connects students from around the country and around the world to new knowledge. “The competition helps students gain the skills and knowledge to be better prepared for their future,” he added. Mr Zhou said the brand is proud to be part of the country’s strategic partnership in ICT. 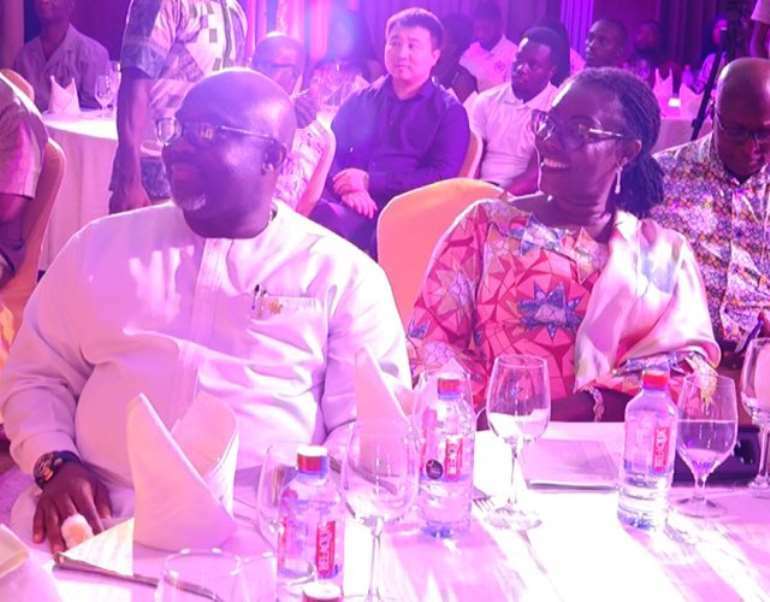 Communications Minister, Ursula Owusu-Ekuful, said the government is committing more resources to the development of ICT in all sectors of the economy. She added that her outfit is implementing a lot of digital initiatives to make Ghana the ICT Hub in the West African sub-region. In a related development, Chinese Ambassador, H.E. Shi Ting Wang, has lauded the government for strides made in harnessing technology. “The National ID Card, the National Digital and Property Addressing System, the Smart Driver’s License, the E-Business Registration System, etc. the Paperless Port Transaction system successfully took off and has made customers’ clearings much more convenient and efficient; Mobile Money Payment Interoperability System has been successfully launched and the Chinese highly appreciates such big progress,” he said. Meanwhile, the Ambassador has expressed optimism the Huawei brand will overcome the US ban controversy it is currently faced with. Huawei has also rewarded 12 students and 3 instructors at its National ICT Training and Awards ceremony. 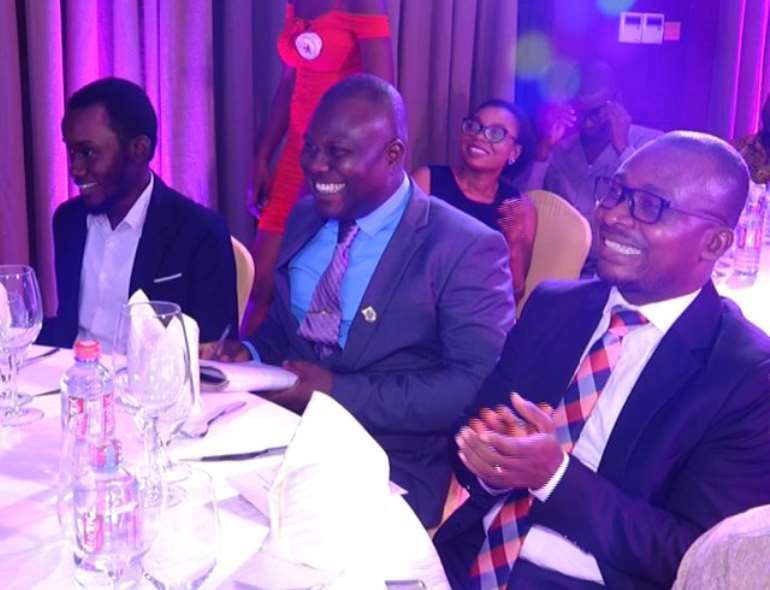 While the Ultimate Prize (1st Prize Award) was given to Timothy Seffah-Duodo, Gerald Philip Bassah and Joshua Ofori Boateng received the 2ndPrize Award whereas the 3rd Prize Award was given to Michael Acheampong, Dickson Osei Asante Osei and Michael Ansah Owusu; all of the KNUST. The theme for the 2018/2019 Huawei ICT Competition is ‘Connection, Glory, and Future.’ The 2019/2020 edition would be opened for registration in May 2019. The brand has urged other institutions to take part in the challenge.